They say books have a way of staying with you no matter how many years it’s been since you last read it. You may not remember everything but you’ll remember the feeling it brought you when you first read it. For me, that is true. When asked what children’s book has stayed with me, I knew the answer in my heart. The problem is that I forgot the title and the author of the book! 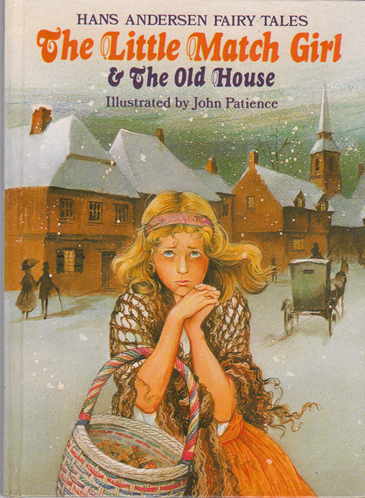 I remembered it was set in the winter and was one of those books I asked my mother to read to me at bedtime. It was also one of the first books that made me cry. See, I was already a crybaby when it comes to books even I was a kid! After a bit of Google magic, I discovered that the book was The Little Match Girl by Hans Christian Andersen. Set on New Year’s Eve, a girl was out in the cold without proper clothing, selling matches while everyone else was busy and rushing home to their families. Out of all books I’ve read when I was a kid, I never expected myself to pick this. Sure, it was top-of-my-head but I tried to convince myself to think of something else, something that would make me appear a cooler kid. Note: Unfortunately, I couldn’t find my own copy of the book. It was probably given to my cousins when we were growing up. If you want to read it, here’s the link. I hope you find it meaningful as well.